Though for many of us the year ahead may look pretty dismal, 2016 promises one great breakthrough – a major step toward ending Africa’s particular and hobbling form of the great Digital Divide. 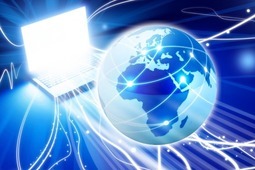 Poor connectivity has bedeviled much of the continent’s internet access (or often sheer lack of access) but now a huge improvement is in the offing. It’s a new subsea cable, to be laid off Africa’s eastern coastline, enabling a reliable and affordable international connectivity service to both coastal and landlocked countries in Eastern, Central and Southern Africa.